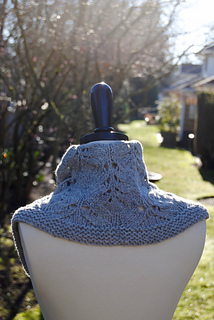 Cedar Grove Cowl begins at the neck as a top down triangle. 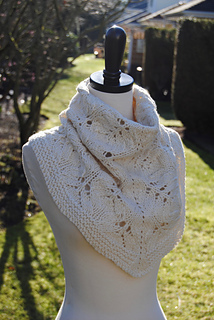 It is then joined in the round to create a seamless cowl. 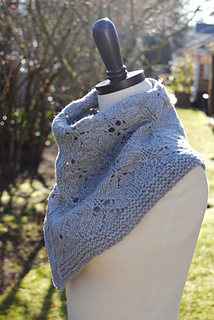 I love this shape for a cowl, it is so comfortable to wear and may be pulled up at the neck to suit the temperature. 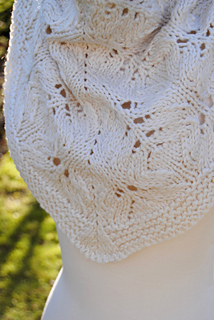 This cowl features the same lace pattern found in my Cedar Grove shawl pattern. The lace stitch has patterning on both right side and wrong side rows, but only until it is joined in the round. 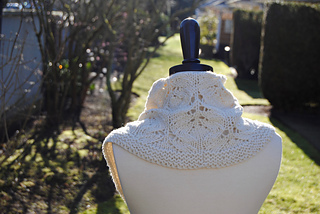 After that, working in the round makes the lace dramatically easier! The lace stitch pattern is charted only. 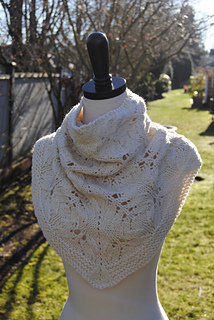 Sizing: after blocking, the cowl measures approximately 18 inch / 46 cm from the top neck edge to the bottom point. Yardage required: approximately 230 m / 250 yds of chunky or bulky weight yarn. The samples shown here are both worked in Cascade Eco+ Merino. 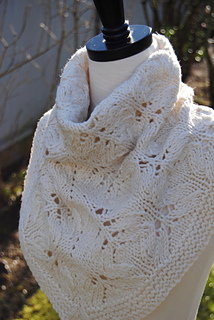 I was able to get two cowls from one skein of this yarn, which comes in huge 250 gram skeins. 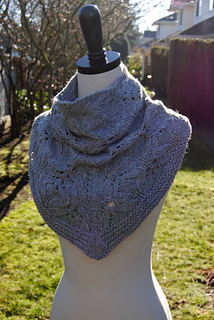 Many thanks to Mary (mollysmaid) for test knitting this pattern.